Everyone deserves a break! ELF is offering free shipping on all orders with the promo code below! Enter the promo code LABORDAY at checkout. 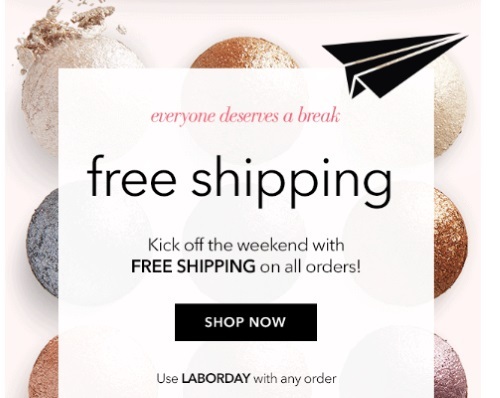 Also get a Free Fall bag with five-top rated makeup products with any $25 order with the promo code BEAUTYFALL (can be combined with the Free Shipping code). Free or discounted shipping offers are based on $4.95 Standard US Shipping, Canadian orders will receive $4.95 or other applicable discount off the $7.50 Canadian Standard Shipping cost. Offer is valid util September 4, 2016 at 11:59pm GMT.